Shadow of the Silk Road records a journey along the greatest land route on earth. Out of the heart of China into the mountains of Central Asia, across northern Afghanistan and the plains of Iran and into Kurdish Turkey, Colin Thubron covers some seven thousand miles in eight months. Making his way by local bus, truck, car, donkey cart and camel, he travels from the tomb of the Yellow Emperor, the mythic progenitor of the Chinese people, to the ancient port of Antioch—in perhaps the most difficult and ambitious journey he has undertaken in forty years of travel. The Silk Road is a huge network of arteries splitting and converging across the breadth of Asia. To travel it is to trace the passage not only of trade and armies but also of ideas, religions and inventions. 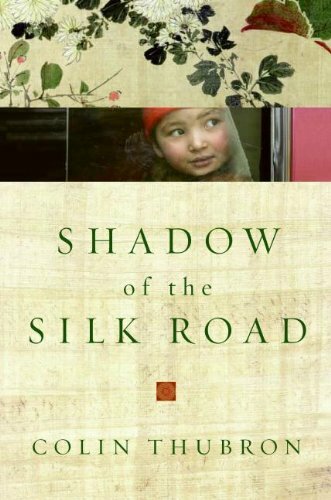 But alongside this rich and astonishing past, Shadow of the Silk Road is also about Asia today: a continent of upheaval. One of the trademarks of Colin Thubron's travel writing is the beauty of his prose; another is his gift for talking to people and getting them to talk to him. Shadow of the Silk Road encounters Islamic countries in many forms. It is about changes in China, transformed since the Cultural Revolution. It is about false nationalisms and the world's discontented margins, where the true boundaries are not political borders but the frontiers of tribe, ethnicity, language and religion. It is a magnificent and important account of an ancient world in modern ferment.